Add for an instant Canyon Background. 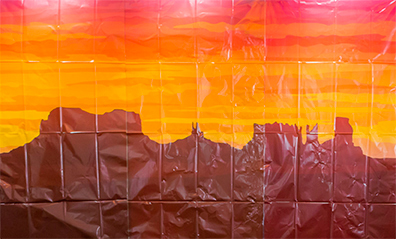 Includes 3 plastic 3' × 6' panels that come together for a full 9' × 6' backdrop. Non-returnable.